Janitorial services play an important role in keeping workplaces clean, safe and healthy for its employees. Clean offices or building breeds positive environments and portrays a good impression on visitors and occupants. For professional infrastructure like small businesses and large enterprise, it is necessary that cleaning services are hired to get the desired cleaning that complies with regulation and industry standards. 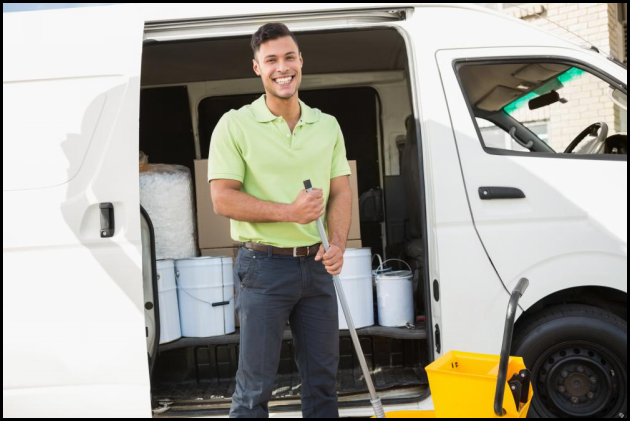 Find a company that is credible and has vast working experience in janitorial services. Make sure you hire a service provider that follows industry regulations and proper inspection protocol, such as Occupational Safety and Health Administration regulations. It’s recommended that you ask for previous client’s details and references. Take a look at their website to see if they have worked on projects of different variety. It’s best if you hire a professional that has previously worked with a business that is similar to yours. Ask the company to provide reference. This way, you can get a better idea of their work style. See if the janitorial service provider uses state-of-the-art machinery, techniques, and protocol to clean establishments. Do they work with eco-friendly products? Can the technical staff operate wide range of equipment? They should conduct inspections to monitor the quality and regulate performance. See if they have a system in place to address queries and shortcomings. It’s necessary that your service providers be responsive to queries and resolve them in a timely manner and efficiently. Their goal should be to limit deficiencies and implement best practices that ensure results. Open communication is also necessary; you want your service provider to pick their phone in case of an emergency cleaning. Hire service providers that recruit the best staff. See if they hire staff with proper background checks and references. They should train their staff on appropriate use of pathogen-cleaning techniques, building safety, equipment usage, and emergency procedures. It’s important that your hire a service provider that wants to build a long-term relationship. Employ a janitorial service that has an automated Customer Relationship Management (CRM) system to address to quires in an effective and smart manner. Where Can You Get All This? Crystal Clear Enterprise. Inc. Call (816) 763-3353 to get in touch with the best Janitorial services in Grandview Mo. We are equipped with Automated Management System (AMS), Client Relationship Management (CRM) and Enterprise Resource Planning (ERP) to provide timely and efficient cleaning services to our clients. We also offer commercial floor and carpet cleaning. We have been setting new trends in building maintenance since 1997, and aim to introduce further improvements and innovations with our quality control methods and state-of-the-art machinery.